Valentine’s Day is my jam! 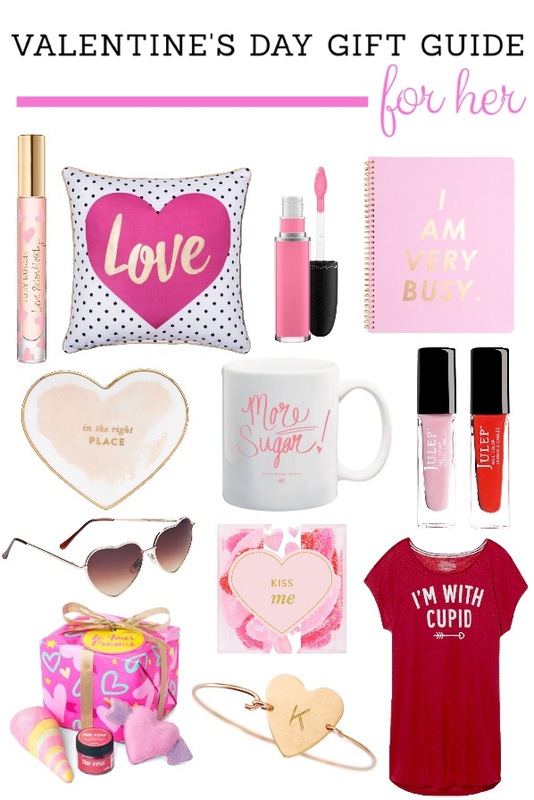 I love all things pink, sweet, and girly so I wanted to share this gift guide with all my ladies that enjoy the same! The best part is ALL of these items being under $30! So send this to your man, buy something for your gal-pal, and definitely get a little something for yourself! I received a sample of THIS NEW FRAGRANCE with my last beauty purchase and it is SO scrumptious. The roller ball is definitely on my wishlist! I recently got THIS TUFTED SOFA for our master bedroom and I love dressing it up with a fluffy throw blanket and cute pillow! THIS PILLOW is perfect for February or really all the dang time! Pink, gold, and Polka dots? Mmmh yes, please! THIS NOTEBOOK is so me. I have tons of pretty notebooks and I am constantly scribbling ideas in them throughout the day. My mind has one speed and that is a hundred mph. If I don’t write something down, the idea will probably be long gone. I love sweet little trinkets like THIS HEART DISH to put my dainty jewelry in, bobby pins, my wedding ring, etc.. I have THIS MUG and a few others from this designer. She designs the cutest girly things! I love drinking my tea and coffee out of a pretty mug each morning. I have been using THIS NAIL POLISH for years. I love that their polishes are all free of sulfates, phthalates, and parabens. I love having polish on my nails so it makes me feel better that they are a great quality and safer than many other polishes. THESE HEART SUNGLASSES are way too cute and a killer deal! THIS CANDY would be a great gift for anyone! It is so tasty and comes in the cutest boxes! This Valentine’s Day most of the boxes have limited time cutesy sayings on them too! Long sleep tees are my life! Big, baggy, and cozy without the frump of wearing a man’s shirt. I have a handful of THESE SLEEP TEES in short and long sleeve!